A fixed bridge is a less invasive treatment than a dental implant. 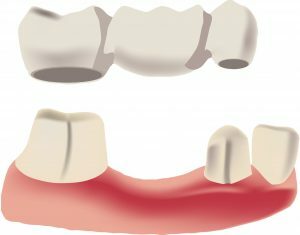 In cases where the surrounding teeth are strong enough to support the bridge, it is an excellent solution to maintain alignment and create a beautiful smile. Your dentist can craft a bridge that perfectly matches the colour of the surrounding teeth, shaped to enhance your smile even more than the teeth it replaces.